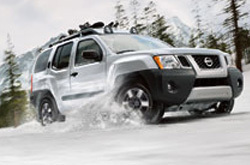 For the full 2013 Nissan Xterra review, please scroll past the video below. All Nissan retailers in Dallas - Fort Worth aren't the same. At Texas Nissan, we feel it's our mission to equip customers with quality Nissan reviews that set us apart from the typical retailer. Each passage is filled with important information and specs- everything you need to make educated decisions on your next vehicle purchase. Get started by reading the full review or watching the video. 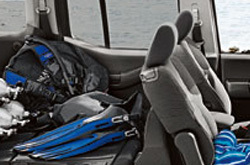 Check out the 2013 Nissan Xterra alongside versus similar autos like the 2013 Chevrolet Tahoe, Jeep Wrangler, Toyota FJ Cruiser, Dodge Durango and the Subaru Forester, and you will see that the 2013 Xterra beats out those vehicles in loads areas. Check out the reasons see why! No chain car repair sites in Dallas - Fort Worth, Texas offer Texas Nissan's spectacular combination of certified Nissan Xterra service techs, 12-month warranties on all services and Nissan OEM parts. To keep your Nissan in premium condition, put it in the hands of Texas Nissan's auto repair specialists. We can undertake a job as straightforward as an oil change, or handle complex car service and repairs like Nissan timing belt replacements, transmission rebuilds, and strut and shock repairs. For quality Nissan repair in Dallas - Fort Worth, drive your Xterra to Texas Nissan, where you can anticipate getting great service. When you come to Texas Nissan's service department, take advantage of tremendous savings with our incredible specials. Click underneath this sentence!